As an HR professional, unexpected talent acquisition can completely derail your schedule for the next few months. The hiring process can be a daunting task to add to an already full HR plate. In fact, a 2016 survey by Officevibe reports it takes an average of 27 working days to make a new hire, which is at an all-time high. Assessing candidates is a top priority when you are an HR pro. You will find yourself in hot water if you can’t quickly interview candidates and decide if they’re right for the job. Decrease time spent reviewing candidates by practicing more time-efficient talent acquisition strategies. Effectively operating a business means finding the right tools and using them properly. Cloud-based phone system provider FluentStream Technologies found this to be true when they struggled during the preliminary interview process. As a small and vivacious startup, FluentStream Technologies’ employees wear many hats on any given day. They were so busy they couldn’t find time to commit to a traditional hiring process. As a result, they were wasting time and missing out on the best candidates. A top priority was discovering a faster way to vet candidates after they sifted through resumes. Their original process was to conduct a phone interview, but it wasn’t effective and it didn’t provide a deeper understanding of candidates. So, they began using a video interview platform to more efficiently analyze their candidate pool. One-way video interviews saved precious time during the preliminary elimination round and effectively moved candidates through the hiring process. FluentStream Technologies now regularly invites candidates to participate in one-way video interviews since they’ve found so much success. One-way video interviews are convenient and create the right environment to make connections with the right people. Plus, you can review the recorded interviews again and again to make sure your original assessment was correct before moving them to the next step. Employee referrals are one of the best and most dependable sources for talent acquisition. 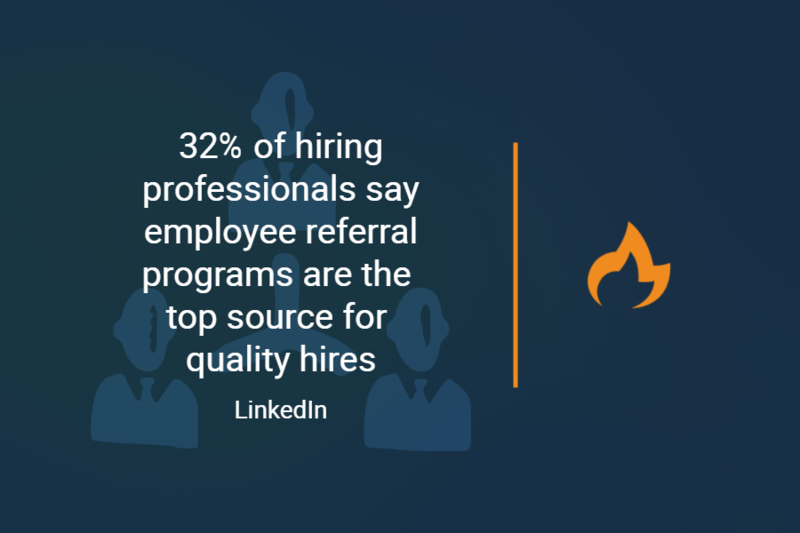 In fact, a 2016 LinkedIn survey found that 32 percent of hiring professionals said employee referral programs are the top source for quality hires. When your current employees bring you potential candidates, it saves you the time you would have spent scouring the internet. It also has the added advantage of your employees already know your company culture. They know what it takes to be successful, so you can be confident that they’re referring the best candidates. Jump start your employee referral program by holding an employee referral day. All of your current employees can bring a friend who’s interested in a new job to the office. At the end of the day, tell everyone about the jobs you currently have open and how to apply for them. You’ll receive many quality applications without having to take much time out of your day. Interviewing candidates who don’t currently live in your region can be an expensive and time consuming task. However, not considering these candidates reduces the expanse of your talent pool. Instead of wasting resources scheduling a time to bring a long distance candidate into the office, simply send them the link to your interview scheduling page. In a matter of minutes, they can find a time when you’re both available to talk. Then, you can assess their fit through a live video interview. Use #videointerviews to enhance #talentacquisition efforts. HR professionals must use the most convenient tools to save the optimal amount of time during talent acquisition. Tools that allow you to work smarter, not harder, are indispensable. A video interviewing mobile app is one tool that makes working on the go possible. And this is a trend that’s not going away. 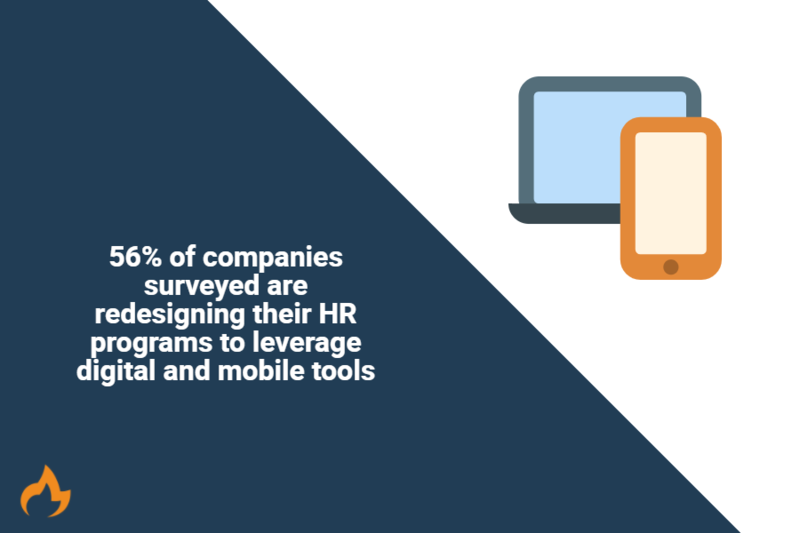 According to a 2017 Global Human Capital Trends report, 56 percent of companies surveyed are redesigning their HR programs to leverage digital and mobile tools. And that’s because these tools are saving HR professionals time. You can review candidates from anywhere at anytime. For instance, while you’re waiting in line for your morning latte, you can login on your phone and screen several one-way video interviews. Because you can fit reviewing video interviews into your schedule more conveniently, the hiring process is accelerated. Decreasing your response time improves the candidate experience, securing top talent faster. Many HR professionals overlook the fact that the better your candidate experience is, the quicker you can fill open positions. A 2016 Robert Half report found that 46 percent of job seekers say they lose interest in a role if they haven’t heard back from a company within one to two weeks. So if you’re not using the best technology to communicate and engage with candidates, they will get bored and you’ll have to start over in your search. To avoid this hiring misstep, use simple but effective technology to reach out to candidates. Video messages are a great way to do this. You can send candidates you’re interested in a short video that lets them know where they are in the hiring process and what to expect next. This makes their experience more personalized and shows them that you and the company are sincerely interested in them. Keeping up with HR digital trends means staying on top of conveniences like intuitive scheduling tools. Avoid getting bogged down by back and forth emails. Scheduling tools support popular calendar applications like iCloud, Google, Outlook.com and more. No matter what calendar you and your hiring team prefer, a great scheduling tool can be used by everyone. Consider using an interview scheduling tool that gives you the ability to create a branded landing page to match your company brand. This saves you time during talent acquisition because you won’t need to worry about matching signatures or logos. The best thing about scheduling platforms is the time they save with back and forth emails. Relying on emails to schedule interviews typically requires several correspondences before a time is decided on. If the candidate only checks their email once a day, you’re extending your hiring process exponentially. #Scheduling tools offer synchronized availability and save #HR pros time. There’s a lot of overlap in HR duties. When you find ways to accomplish multiple goals with one action it makes your life easier. Great employees deserve recognition. And great employees attract other quality talent. By creating an employee ambassadors you can acknowledge your great employees and attract top talent. The easiest way to do that is through social media. Regularly share posts that feature your high performing employees. Use featured videos of employees on social media to develop a sense of employee recognition and create a positive employer brand. Film employees discussing the positive things they have to say about the company. Prospective candidates will be more interested in a company that is trusted by their staff. Having employees promote the company to talent in their network saves you time searching for top talent. They will be able to share these unique branded videos with their audience. This effectively grows your company brand by using word-of-mouth advertising. This is a very efficient means of sourcing, as you position your company for optimized talent acquisition in the exact place job seekers are looking. 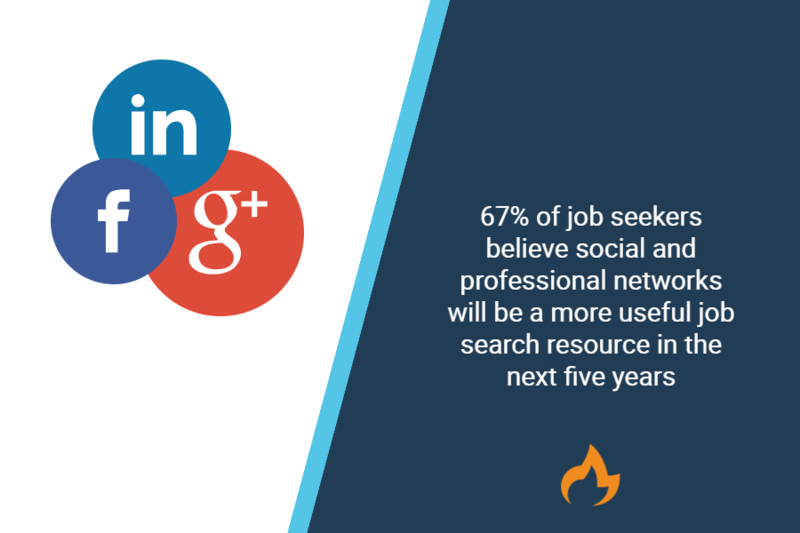 In fact, the recent Career Arc study, The Future of Recruiting, found that 67 percent of job seekers say they believe their social and professional networks will be an even more useful job search resource in the next five years. Schedule an elevator pitch workshop. Allot a day to coach employees on creating an elevator pitch about their role at the organization. Encourage employees to dig into workplace culture and develop a better understanding of how they contribute to the overall business model. Record their pitch via video and share it on the company website and social media. This will reinforce employee engagement by helping them feel more connected to company culture and growth. Time is money in almost every scenario when you are an HR pro. Practicing time efficient strategies, using technology to your advantage, and combining daily tasks will help to make the best use of time during your talent acquisition efforts. 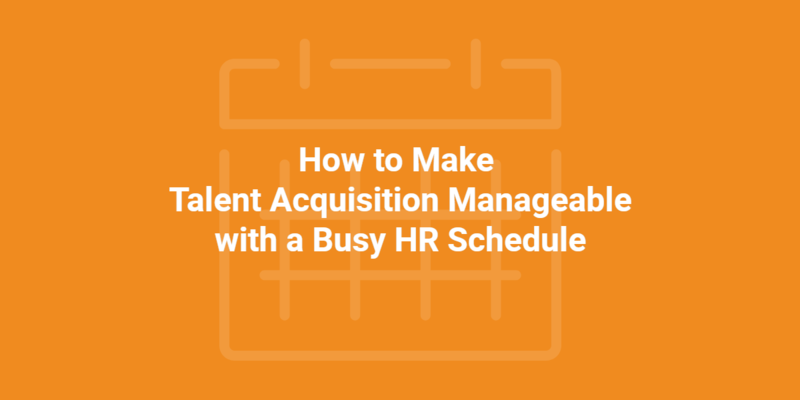 How do you manage to work effective talent acquisition into your busy HR schedule? Let us know!